Seller's Market - Who Are You Battling? 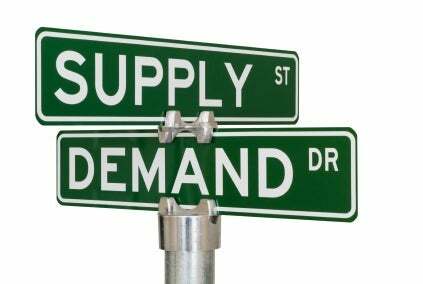 After 5+ years of a Buyer's market / balanced market, it's been an adjustment for Buyers to get used to the new reality that supply is low, demand is high, and the market has shifted accordingly. For veteran purchasers, they have of course been through this cycle many times, which is the natural course for real estate. For newer purchasers however, it can seem strange that for the last half-decade, they have been used to dictating the terms and prices of their transactions, while having ample time to think things over before committing. That time has unfortunately ended for the most part. Before this market change, a purchaser was focused on the negotiations between them and the Seller when making an offer. Now, a purchaser has to focus not only on the Seller, but not other purchasers looking to buy the same property. It may sound obvious, but this has been a huge mind shift for a lot of my buyers. As their Realtor, I have been used to battling Sellers for the past 5 years to get my clients the best price and terms possible, so it's been a shift for me as well. Now that we see a ton of multiple offer situations, it completely removes the Seller from the equation. If the other purchaser is going to offer better terms and price to the Seller than we are, then we are out of luck, no matter what we do with the Seller. In effect, many times my job has changed from "I'm going to get you everything you want and more when buying this property" to "what is the minimum you can request and the maximum price you can offer?" It doesn't sound like I am offering much assistance, but my job is to read the market and find you a property. We can be in a hot market or a slow market, but my job is still the same. A Realtor can't change the market, but can certainly adapt to it. Now all of that being said, I don't think that every multiple offer situation is necessarily reflective of the market, and there will be some Buyers that will pay way over the value of a property in order to get it. That just can't be helped. But a change in mindset from battling the Seller to beating our other buyers is necessary in this market in order to get the property you want. With prices increasing in some areas over 13% year over year, waiting on the sidelines only makes your perfect property more unaffordable. As always, contact me for any specific questions on the market and I will be happy to help!